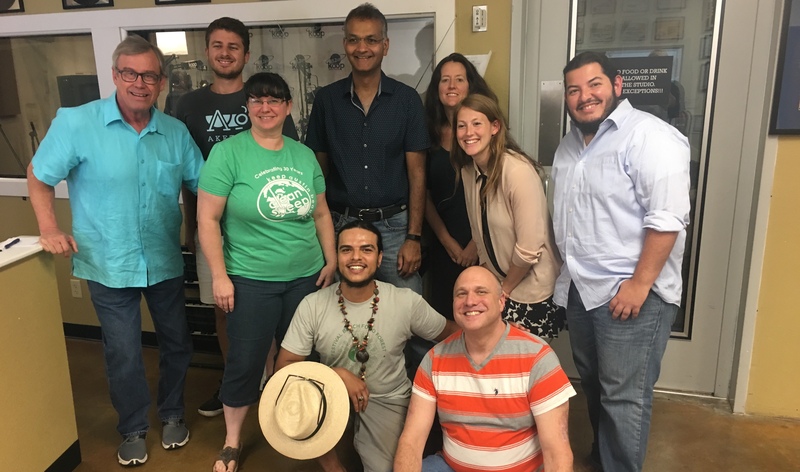 Check out food forest board members Jonathan Barona and Christopher Sanchez talk about the food forest and alternative food production today (Thursday, June 29) at 1pm on Shades of Green Talk Radio KOOP radio 91.7! Join us today at 1PM on KOOP Radio 91.7FM and streaming at www.koop.org! To join the conversation on Twitter, use #ChatWithShades! On today’s show we’ll be talking all about alternative food and food production. We’ll be featuring guests from a local food forest, cricket farm, and a new urban farming and food distribution network. Festival Beach Food Forest is a grassroots pilot project neighboring the Festival Beach Community Garden and RBJ Residential Center in East Austin. They intend to transform three acres of a 90-acre park into an edible forest garden where visitors can openly forage and enjoy fresh food on the shores of Lady Bird Lake. Fruits, nuts, vegetables and herbs will now inhabit the city-owned land…. You can find podcasts of our previous shows on our website and follow us on Facebook & Twitter (@SoGTalkRadio)!